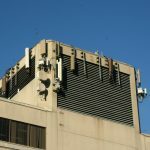 Rogers Rent Reductions with Md7 - Antenna Management Corp.
Md7 reduces rents for Rogers cell sites. Been contacted? Md7 reduces rents for Rogers 1,500 targeted sites for up to 50% rent reductions. Md7 is a well known USA “Lease Optimization Company” that works to “motivate” landlords to lower rents contracted by Rogers . 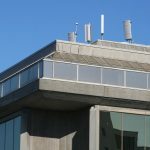 Their tactics have been successful in the USA – now Rogers has Md7 to work on reducing rents with their cell site landlords in Canada. Rogers cell revenues continue to grow. Md7 outlines lease termination as an active option of Rogers to reduce their costs. Roger’s historically has shown few intentions of ever terminating leases. Rogers almost always asks for more lease extensions, usually as many as they can get – not terminations. Md7 implies many sites are up for termination or “network consolidation”. Blanket mail campaigns have been sent to many sites. For example, Md7 recently contacted a Rogers landlord and suggested potential termination – the site had just been increased in capacity one month earlier. AMC has specific site data for landlords to understand their risk of termination and the option that Md7 reduces rents. Before Md7 reduces rents, get a free rent audit. Is your site a target for Md7 reduced rents? Prime targets tend to be leases in their first 5 year term with higher rents. Md7 will likely offer a 5 year rental “guarantee” on the Md7 reduced rents. Let AMC review your situation. Landlords can get key data about Md7 reduced rents and termination risk for their cell antenna site. The AMC database covers Canadian cell site antenna activity.